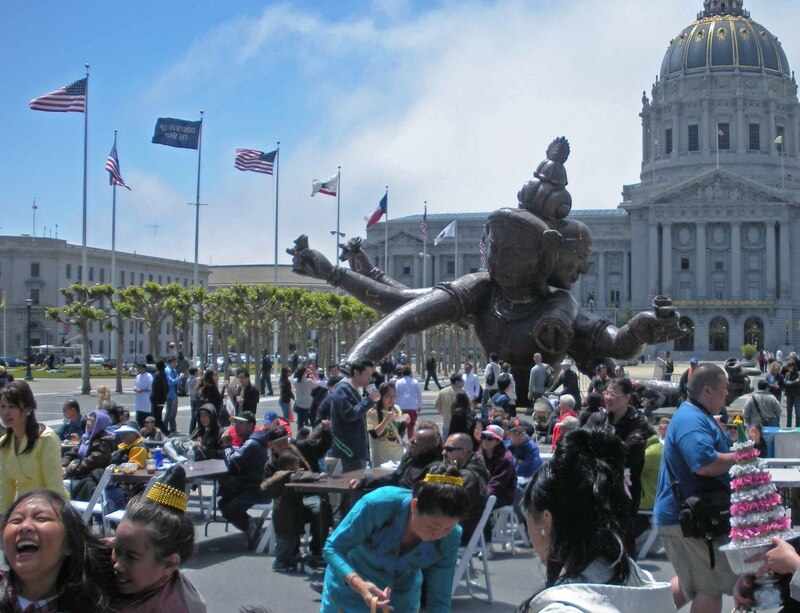 The 6th Annual Asian Heritage Street Celebration took place in San Francisco on May 15, 2010. 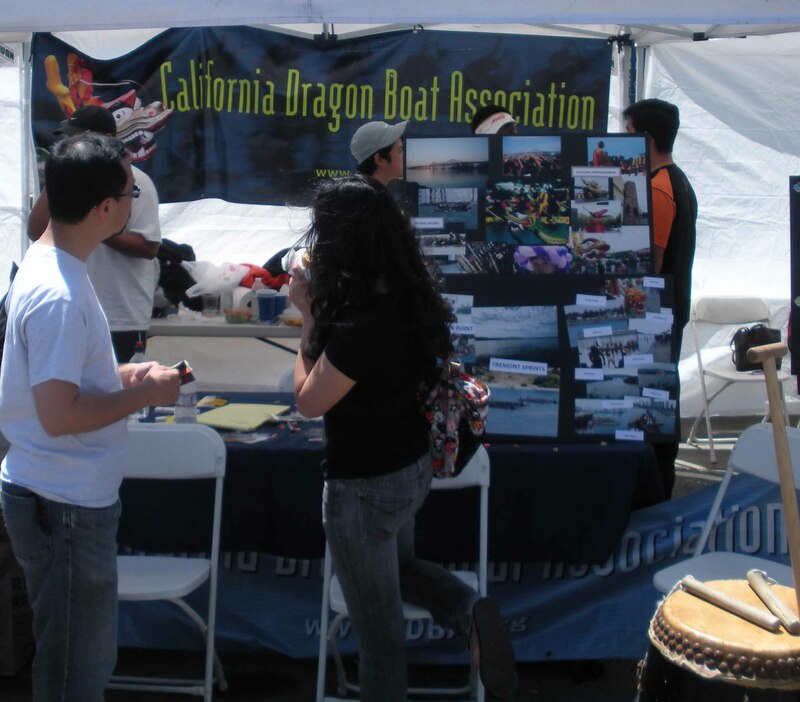 There were Chinese, Thai, Tibetans, the Falun Gong hiding behind another name, a free Burma booth, and booths for Dragon Boat Races, and the Lion Dance. 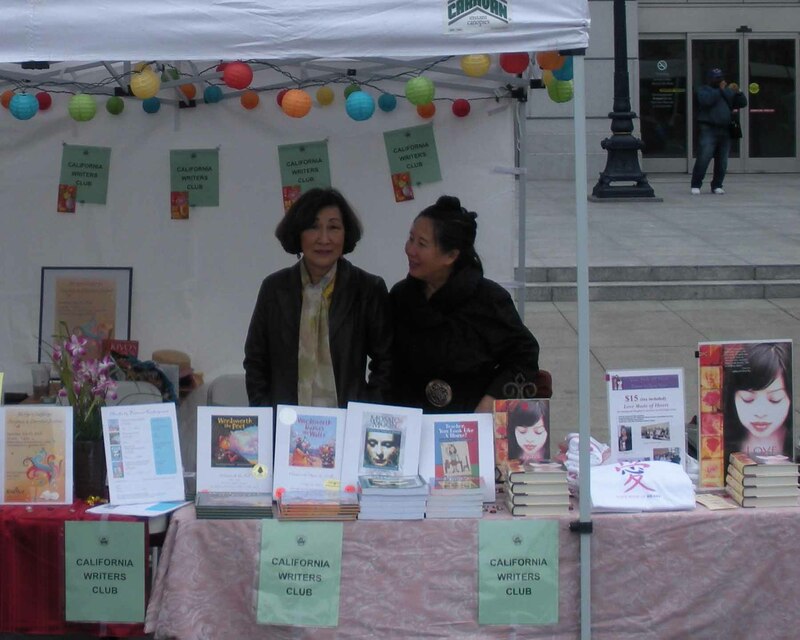 I was there with President Margie Yee Webb of the Sacramento branch of the California Writers Club, Frances Kakugawa, and Teresa LeYung Ryan . 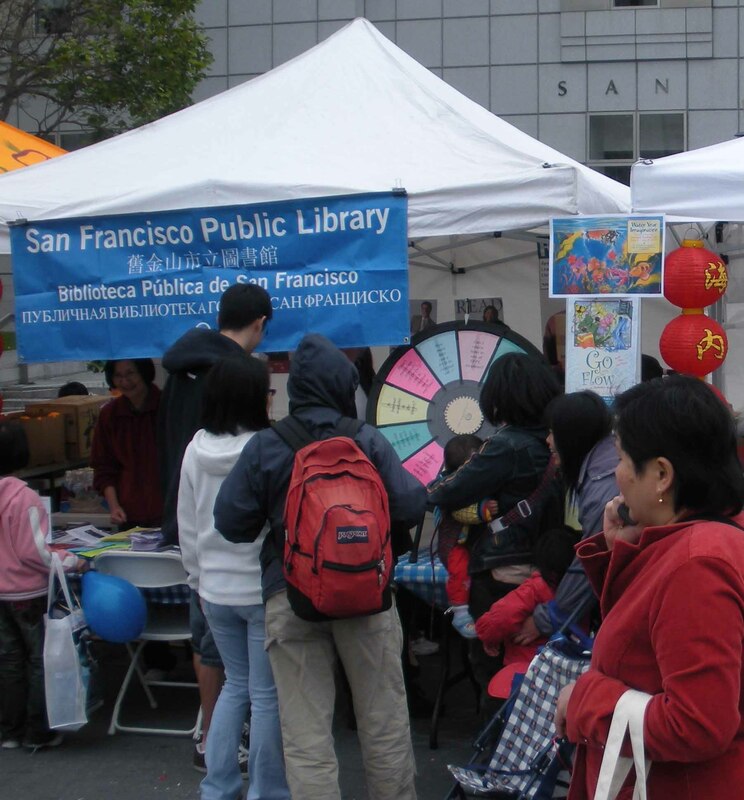 The CWC’s booth was in front of the San Francisco library. It is estimated that 100 thousand people attend this street celebration each year. 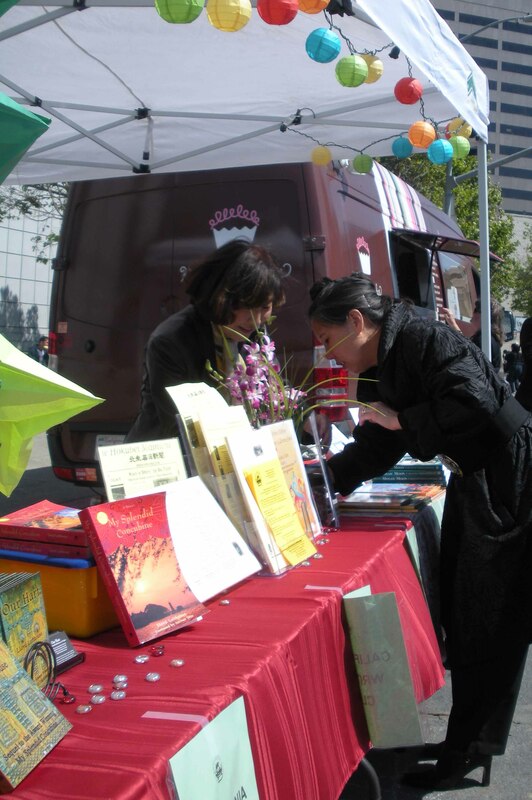 Many people stopped by our booth to talk about China and/or buy books. 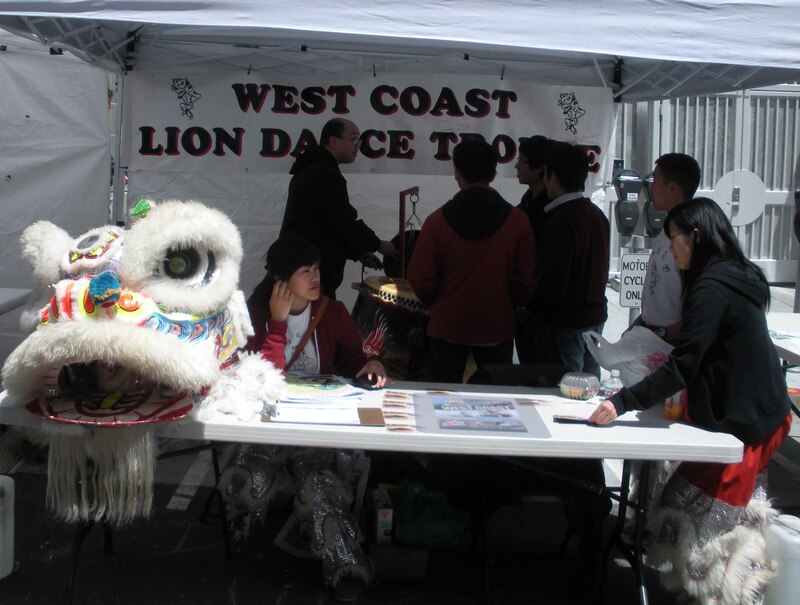 By noon, I went for a walk toward Little Saigon. Booths lined the street for blocks. It was obvious from what I saw that all of Asia’s cultures have been influenced by China one way or another. 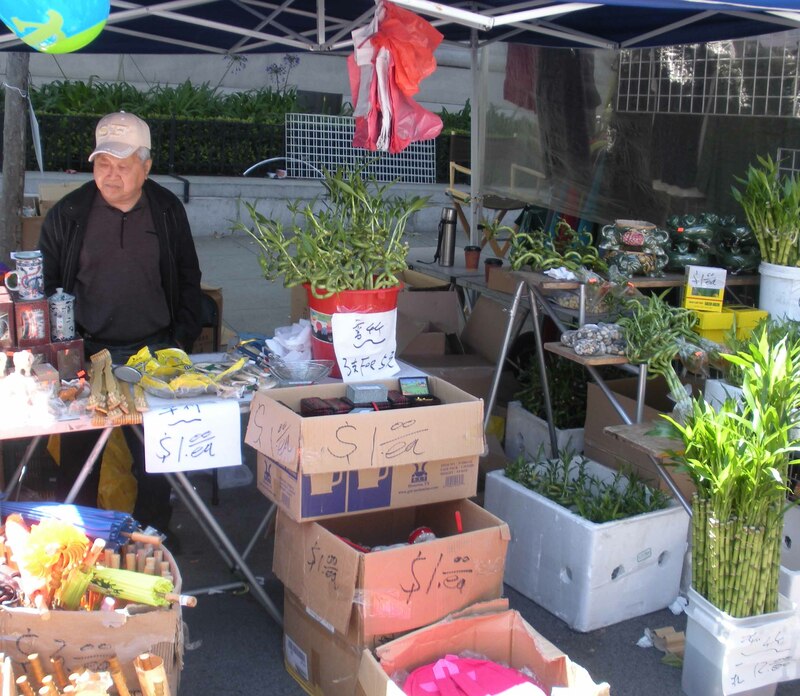 The Chinese believe in lucky symbols and bamboo plays a part in that belief. China was the super power in Asia for more than two thousand years. 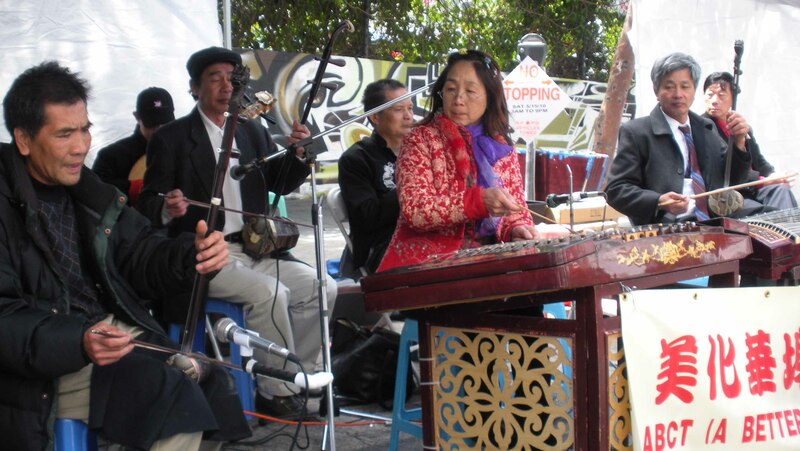 At one booth, I stopped to take a few photos of a Chinese band playing traditional Asian music. All the instruments I’ve written about were there. 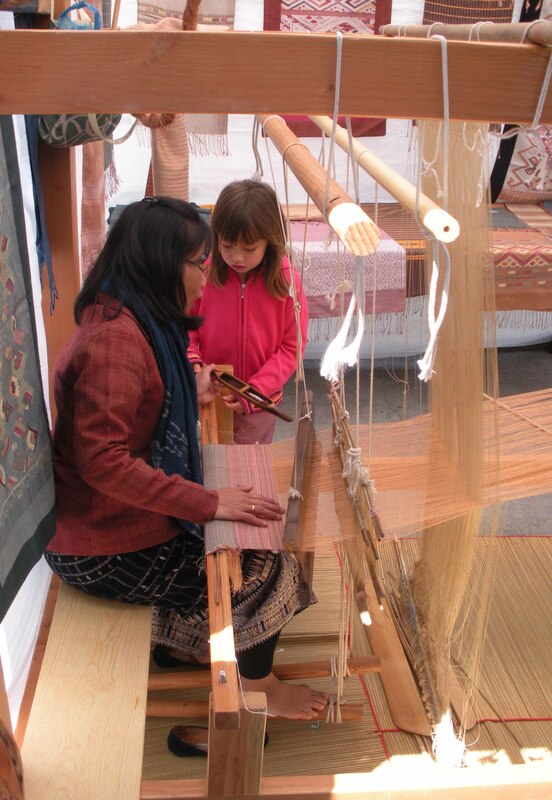 The silk trade started in China and there was a booth with a woman creating tapestries from silk thread. 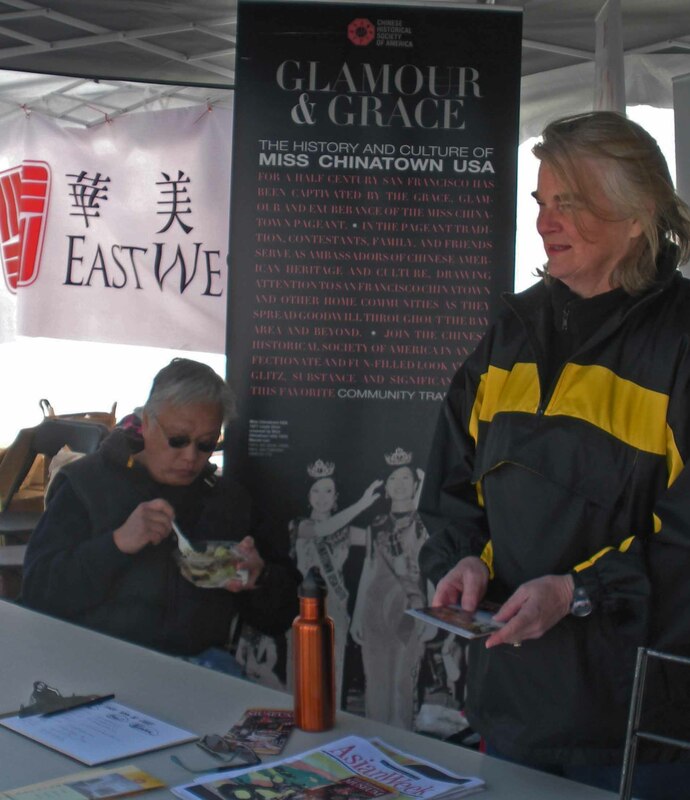 Even the Glamour and Grace of Miss Chinatown USA was represented. 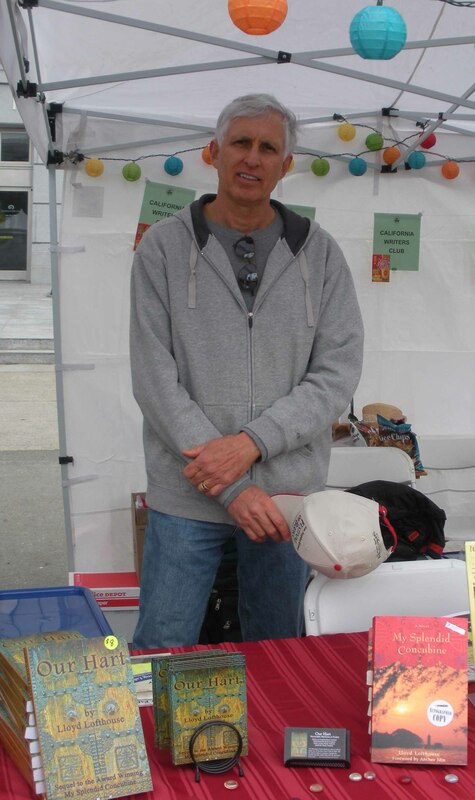 It was a long and rewarding day that went by too fast, but it was a harmonious day. When I was teaching, I attended an in-services where I learned that by the third generation, the children of most immigrants are assimilated by American culture. If that is true, why is it that Asians, as an ethnic group, have the lowest incidence of STDs, the lowest incidence of drug use and the lowest incidence of teen pregnancy? American Asians, including Chinese, tend to graduate from high school with higher GPAs and go on to complete college more than any ethnic group in America. Why is this? The answer is simple, and I’ve talked about this before—the collective family culture with a strong belief in the importance of education and respect for teachers. 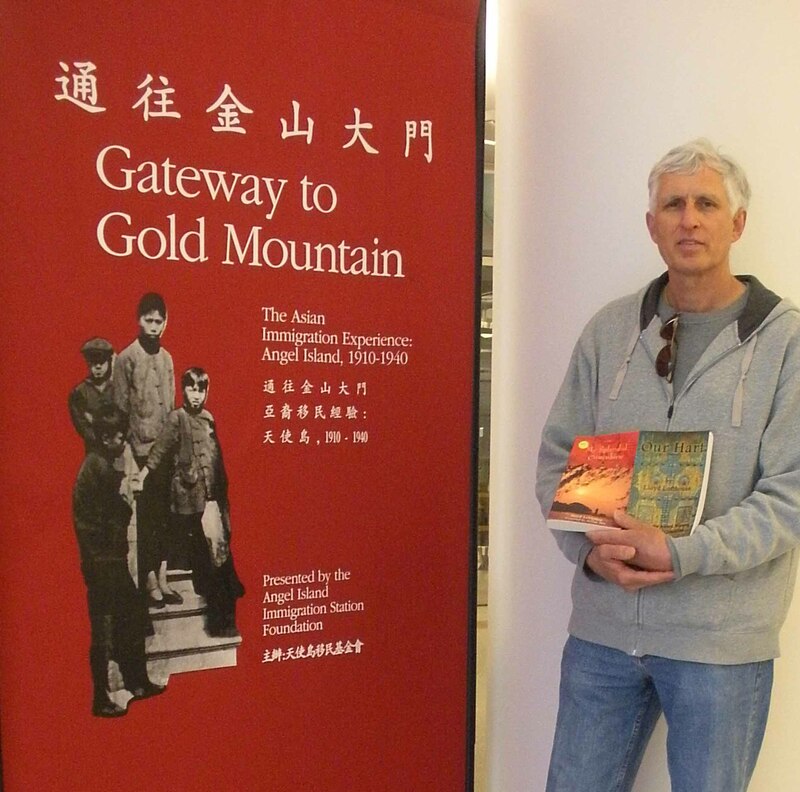 The public schools where I taught for thirty years had a small percentage of Asian students. Most always earned high grades and were concerned about anything lower than an A. Even an A- minus would worry some. I seldom had behavior problems from the Asian students I taught. 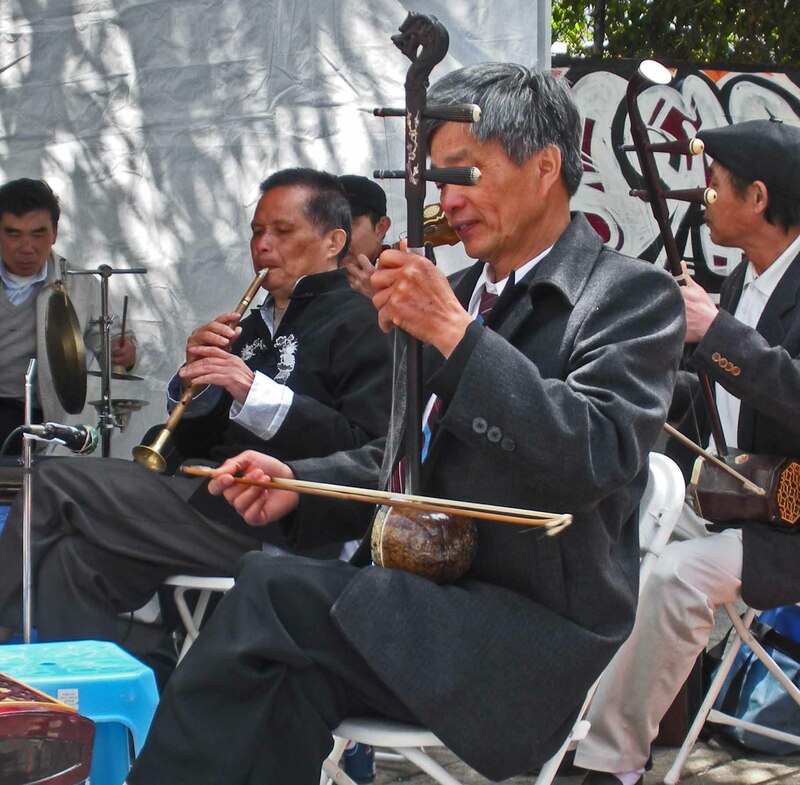 This entry was posted on Tuesday, May 18th, 2010 at 16:00 and is filed under Buddhism, China, Chinese arts and music, Chinese Culture, Chinese literature, Confucianism, Taoism. You can follow any responses to this entry through the RSS 2.0 feed. You can leave a response, or trackback from your own site. Cool. 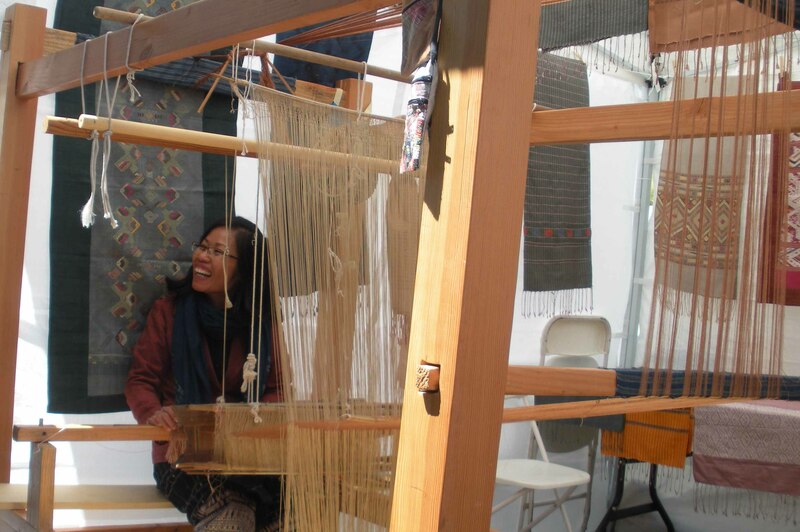 That loom is very common in Nordic culture since the 18th century for weaving wall hangings and carpets. They still have places here where the elders go and weave.